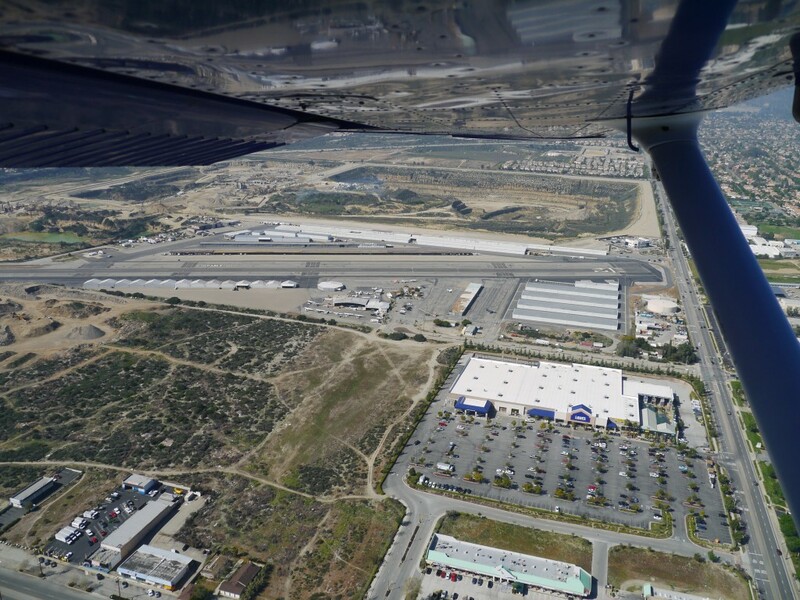 For pilots training out of El Monte, most of your experience will be with towered airports. Pilots need to be comfortable with operating at non-towered airports though, so the first non-towered airport my primary students normally visit is Cable Airport. Cable is a privately owned airport, but open to the public – it’s been owned by the Cable family since it was opened in 1945. There’s a restaurant on the field and they hold a great air show every year in January. Airspace transition – it’s easiest to go through Brackett’s airspace on the way to Cable. Unusual entry/exit and noise abatement procedures – noise abatement and strange entry/exit procedures are driven by the closeness of Class C airspace, nearby development and colleges. The AF/D gives no info, so you have to look elsewhere. The Cable Airport Rules and Procedures has a bit more info. For landing 24, approach from the north over the departure end of the runway for entry to the left downwind). This entry was posted in Destinations by dgwerntz. Bookmark the permalink.